Hiut denim tells a wonderful story through their Instagram channel. Each photo doing its job. Each photo displaying itself beautifully. It's a commitment by the brand and it's worth noting that their channel only has 6,000 followers. Which is s strong number, of course. But versus other channels it could buy 6,000 isn't a lot of people. But it will grow. And the brand uses these photos in other places too. The commitment to doing things well, even if the channel isn't huge yet is a thing of beauty. "For us, it comes down to ‘What does the organizations stand for? If you’re out talking about how you’re impacting the lives of women and children in society, we believe our people practices should reflect that." Which is why The Gates Foundation will be offering 52 weeks of paid leave, for moms and dads who give birth, or adopt. We Could Be King - Trailer HD from Tribeca on Vimeo. "Our brand is about this idea that sports makes people better: not just fitness, not just because you're healthier, but because it encourages a work ethic, and discipline, and time-management, and all these amazing qualities. So we look for stories that speak to those values. "We're a retail marketer, so we have direct mail, we have Sunday circulars, we have all these things that hit pretty hard. But whenever we just tell emotive stories, from ... all the metrics we look at, the storytelling outperforms on ROI … So it's been a business driver as well, even though that wasn't the intention at the beginning." 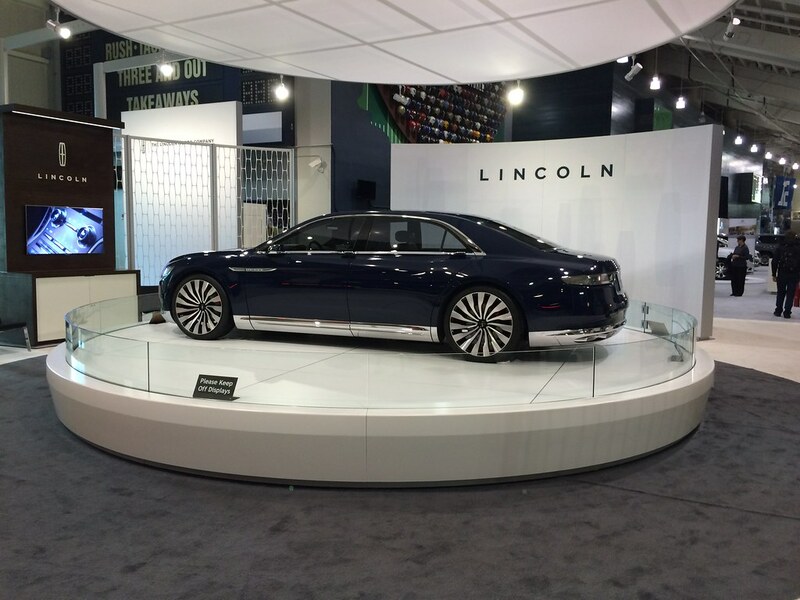 Lincoln started 2015 with sales up 16 percent, which is double the pace of the luxury industry. The ads have received mixed reviews. But they're only part of a story. There's an underlying ambition going on here. And it was evident at the Seattle Auto Show this weekend. Among batches of cars from Porsche, Ferrari, Lexus and more, guess who had the most stand-out 'booth'? I thought Lincoln did. They had created this sort of posh living room with one of their models spinning in the middle. The music was something you might hear in the lobby of a cool midtown hotel. Grand ambition requires a brand to win everywhere. When Snickers landed on this strategy it was immediately acknowledged as brilliant. And it was. We know that still because after all this time their ideas remain fresh, yet not too distant or stretching from the original intent. Which is so hard to do. Every year it seems we see one or two new Snickers ideas. There's probably more. Or maybe they're just focused on doing a few, notably well. #LikeAGirl just won the Emmy Award, which adds to its tremendous award show haul this season. Truly a wonderful piece of work. Sometimes brilliant creative ideas aren't obvious when they first hit the table. Or, perhaps, until the right amount of context is applied their brilliance isn't fully apparent yet. You can find part two of this video series here. The brand purpose of Mizuno: We believe in the transformative power of sports to make the world a better place. "Mizuno has had this purpose in its hundred-year history, but we never had a good way - consumer-facing way - to activate it. Last year, we started to do that." This is more common than many may think. The purpose is always within, it just takes focus, ambition and dedication to bring it forward.